Finding a bra that fits well shouldn't be so hard, but variations in natural form and manufacturer's measurements can make things a bit tricky. Cup sizes don't really mean much, so we don't use them at Helixia. Getting an accurate measurement from the beginning will ensure that your The Woven One fits comfortably and provides you with the correct amount of support. 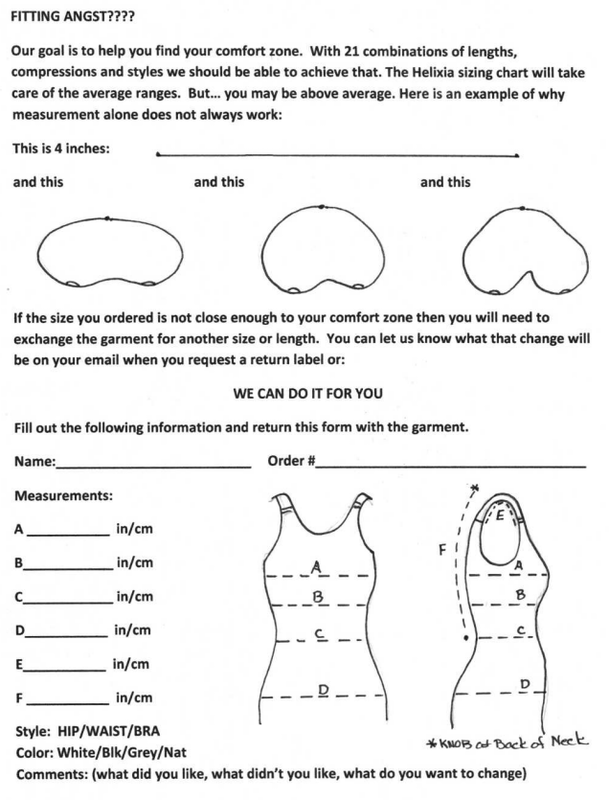 Our sizing guide is meant as a starting point. You know your body, and the fit of a bra really comes down to personal preference. If you desire a bit more support, consider dropping down a size. If you're after a more comfortable fit, go up a size. Still unsure of your size? take the additional measurements here: and email us the details.